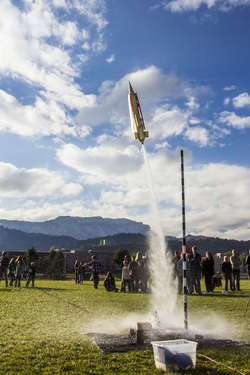 In one of my first projects here at Animas High School, we built, tested, and finally launched water rockets. We not only learned about how to find max height, actual velocity, but had a lot of fun! Click here to see all of the data collected! In this project, we put our creativity and our building skills to the test as we constructed a Rube Goldberg Machine. Designed to make a simple task complicated, we learned about the different calculations of force, velocity and more. Click here to see all of our data and pictures! In this project, we were challenged to map out an area of the Twin Buttes Development. Using compasses, GPS, and knowledge of the area we finished with a detailed map. Click here to see the project work and pictures!